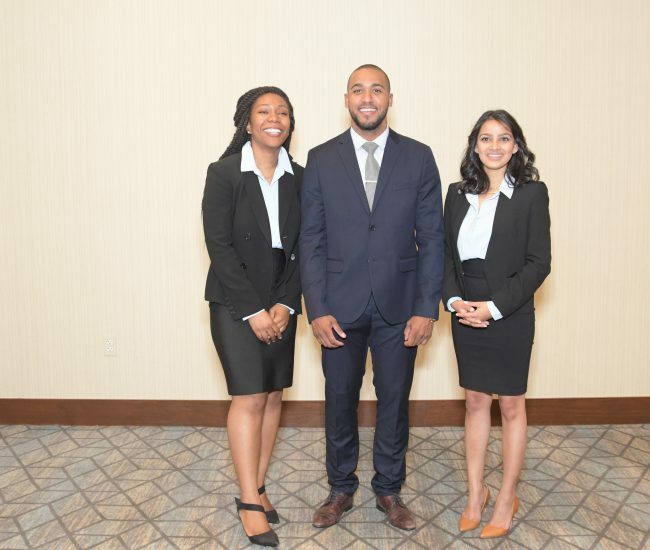 The NAHSE mentorship program was developed to provide an organized resource for minority healthcare leaders to coach and guide each other in the field of healthcare. It is designed to provide a vehicle for minorities to effectively participate in the design, direction, and delivery of quality health care to all people. -Provide an opportunity for mentors and mentees to meet in open, candid, and interactive forums to share and benefit from common interest and needs. -Encourage learning and the exchange of information and ideas, between mentor and mentee. -Help members increase their network of business contacts. If you are a potential NAHSE Mentor or Mentee that meets the above criteria, please attend our meeting at the 2018 NAHSE Annual Educational Conference and/or send an email to NAHSE.Mentoring@gmail.com for more information by Friday, October 26, 2018. After the conference, we will distribute the Mentor/Mentee application. “My mentor has not only been a professional guide, but also a personal coach. There is incredible value having someone of color who has walked the same path you are on. To me, the path is mostly unknown and can be treacherous. To her, it’s a clear roadmap to success, because she’s walked it before. She has been able to help me navigate with confidence by sharing her wisdom every week. As a young leader, I have leaned on her during challenging times and she has been there to celebrate my early accomplishments. Her ability to share her personal truth, perspective, and insight gathered from years of experience in healthcare are unmatched. I have learned how to prioritize my day by being more deliberate about the must-do’s, empowering my team, and inspiring a shared vision for success. These tactics have greatly helped me grow in the new role.